By addressing the apex of deformity there is a reduced chance of recurrence. 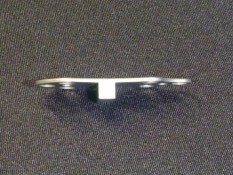 The thin plate reduces the need for device removal. Locking screws reduce the need for screw removal. Increased stability may reduce the period of non-weightbearing. the metatarsal parabola and corrects both transverse and sagittal plane deformities. need to perform additional metatarsal osteotomies that will require additional internal fixation.